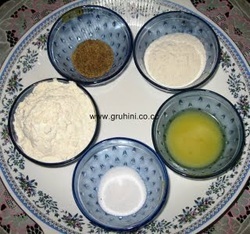 Take maida in a bowl, add salt and ajwain mix well and add 1 table spoon of ghee and 2 table spoons of curd. 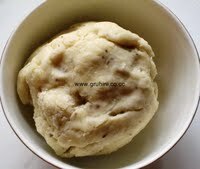 Make a stiff dough adding sufficient water. Leave it aside for 10 to 15 mins. 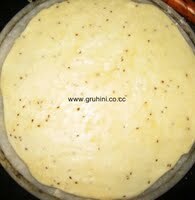 Now make small balls of the dough, roll to thick circle. 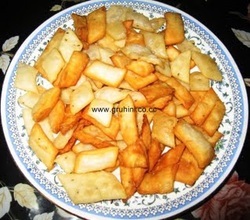 Cut them to squares with knife and deep fry in oil until golden brown in a medium flame. Drain and cool before storing. 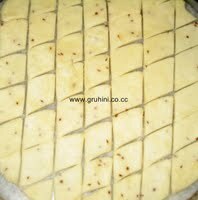 Crispy Namak pare is ready.......enjoy with a hot cup of tea or coffee.